Siargao is known for its surfing and island hopping destinations, but few have heard, much more set foot, in del Carmen. 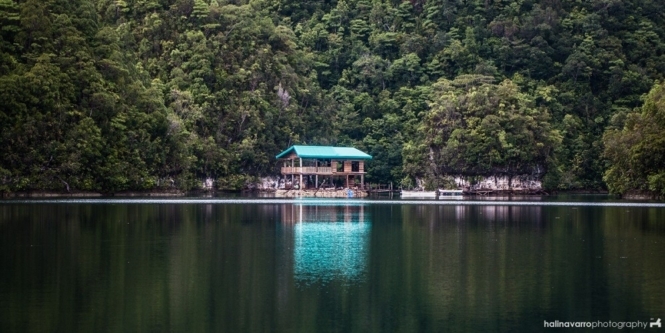 Unbeknownst to many, it has many treasures: mangrove forests, the undeveloped Sugba Lagoon and hidden beaches. If I should describe the islands in del Carmen in one word, it would be “still.” During our tour, we saw no other tourists or travelers, and there was a quiet ambience permeating the area. It was deliciously peaceful, a perfect getaway from the hustle and bustle of the city. Once we landed in Siargao, we initially stayed in one of our hosts’ house (Manang Conching’s, who is a relative of fellow volunteer Kuya Danny) 5 minutes from the airport. From there, we went to a nearby bridge and rode a large passenger boat to Barangay Caob. The ride took 2 hours, but we barely felt it because of the serene passage through a thick mangrove forest. 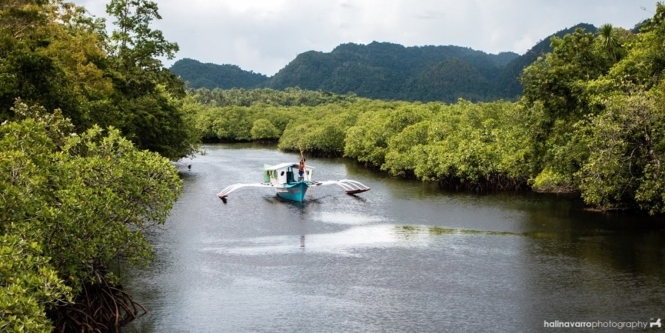 The mangrove forest in del Carmen is a protected block and spans a total of 4200 hectares. The forest was so vast, I wondered how the boatmen manage to navigate their way to their respective destinations. We stayed at a resort in Isla Verde, which was our home for two days. It stands in a small island, peaceful and quiet. During low tide, you can wade across the water to get to nearby islands. During high tide, the water consumes most of the land area. From the resort, we explored del Carmen for 2 days. We dropped our backpacks in the resort and island hopped to Hidden Lagoon in Caob. There was very little said of this lagoon, and I think it might be the same Sugba Lagoon I’d read online after our trip. 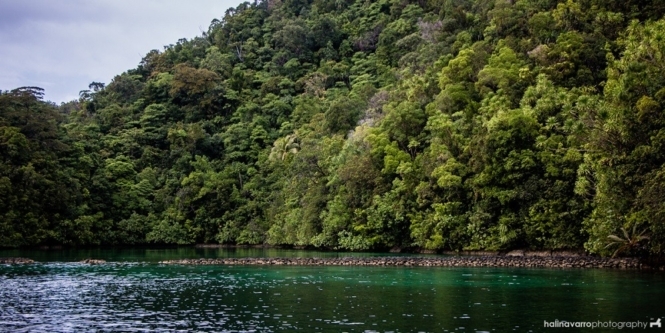 Our boat motored around the verdant islands but did not dock since there was no suitable patch of land in sight. Edit (2017): We’ve confirmed that this place is indeed Sugba Lagoon. Our boatmen then didn’t have a name for it when we asked. Development started in 2016, and it is now more open to tourists. Read about our visit back in this lagoon in Siargao. 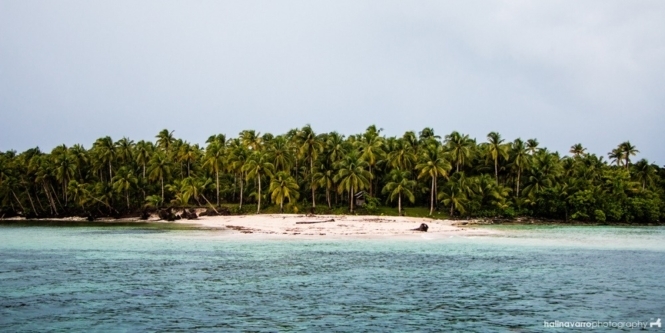 The green islands were reminiscent of Palawan, without the limestone rock formations. The water was so clear it was actually a shame none of us took a dip. We went next to Kawhagan Island, which is an isolated strip of land in the middle of the sea. It faces another island, though we were told the latter is occupied. Kawhagan has a small beach constantly met with strong waves coming from the open sea. It is surrounded by coconut trees, and there we found an an empty hut holding a supply of firewood. My companions were saying it was a perfect honeymoon spot. We went back and ended the day in Isla Verde Resort. Isla Verde Resort isn’t fancy, but it seems to be the only accommodation in the area. Aside from the houses, there’s an open cottage outside where our group would stay. During sunset, Hali and I watched the sea rise, covering what little land was left of the Isla Verde resort. It seemed like if it raised a little more, we’d actually be walking across water. It was peaceful, the clouds catching the glorious sun rays. Del Carmen is one of the most peaceful places I’d been to. We both sat in the open cottage, drinking hot chocolate from styrofoam cups. Later that night, most of our group slept on the two houses provided for us, while Hali and I spread a sleeping bag over the floor of an open cottage. The stars were big and bright, as they usually are on provinces. I counted three falling stars before falling asleep; there may have been a meteor shower that night. Do I sound romantic? It was romantic. On our second day in del Carmen, Siargao, we stopped by Midway Island. Midway Island is visible from Isla Verde. It seemed like an abandoned resort; there was a walkway and houses and a functional restroom outside with running water. We weren’t able to ask what happened to the facility. To swim, we had to jump from the wooden walkway or climb down stairs directly to the water. As with the other islands we visited, Midway Island also has clear water. I feel deeply blessed that we were able to explore the islands in del Carmen, Siargao. This isn’t a popular tourist spot (yet), though I’ve read about selected tours covering this area. 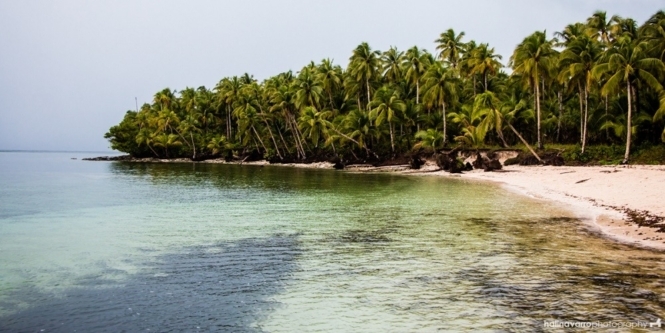 Most of these islands has a serene and untouched ambiance. It’s challenging to explore given a tight schedule, since boats can only be used during high tide. What do you think about these islands? You can hire boat with driver from the tourism center in Del Carmen. Hey, thanks for the correction. 🙂 Hope we can visit there when it opens. Hi! How did you get to these other parts of Del Carmen. 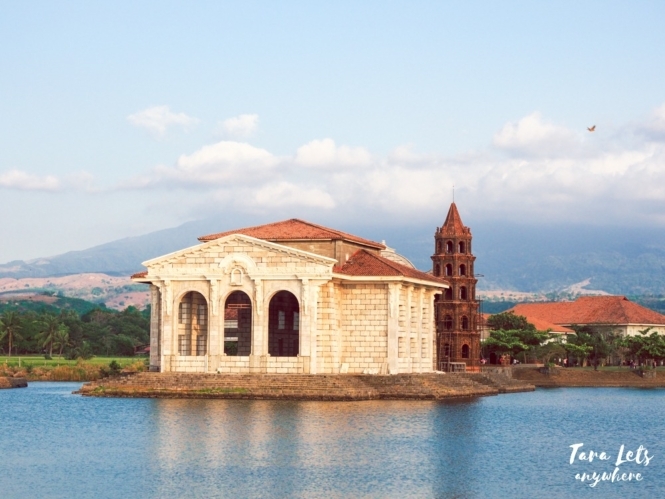 I’ve only been to Sugba Lagoon vis tour packages from General Luna. I want to visit these other beaches in Del Carmen too but couldn’t find enough info how to get there. Hope you could help. Thanks! Hi Anj. We talked to a local who agreed to tour us in his boat. 🙂 I don’t have his contact number though, but you can always ask around. That mangrove forest shot looks really awesome. The feels of that shot brought me to Anaconda movie setting. I was just waiting for the big snake to jump in on your next photos. But seriously, Del Carmen looks like a fun getaway spot for people who loves to have a quiet beach vacation. Siargao’s hidden lagoon sure looks stunning. I would love to travel here just to relax and admire natures beauty. what i love about this place is that it is still not yet overcrowded. Kudos for capturing the wonderful experience travelling to this place. I would probably visit this pristine place by next year. 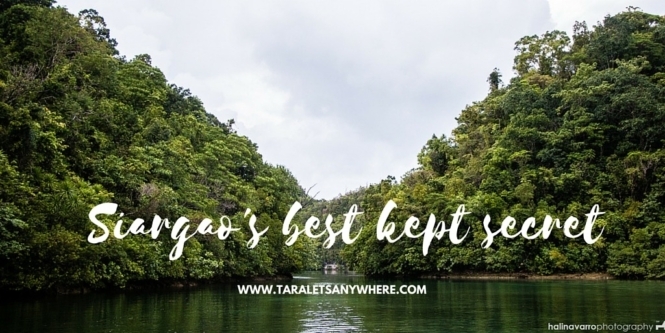 There’s so much to explore in the Philippines and Siargao is another perfect example of hidden gems. Hopefully, islands such as these continue to be in tact and untouched from commercialism. OMG!!! I have been forcing my husband to visit Siargo. Too bad, he got sick but I am still going to let him read your blog. I saw this too at KMJS 🙂 Siargao sure has a lot to offer. I hope the tourism department will be able to promote more of the island. Was planing to go here when I was in Butuan. Locals there are telling us that Siargao is beautiful and indeed based on your pictures the place is majestic. And thank you for sharing this because all along I thought that surfing is what I can just do in Siargao. When I think of Siargao, I always associate it with surfing. There’s a lot more to discover about it. Thanks for writing this article and sharing your experiences. I would like to visit it one of these days. And by the sound of it, it’s still affordable travel because it’s not yet overcrowded. Siargao actually has beaches, caves and falls for non-surfers to explore. 🙂 We haven’t got the time to do island hopping but from the photos online it’s a must-do experience.